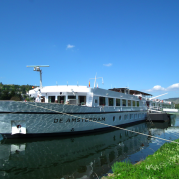 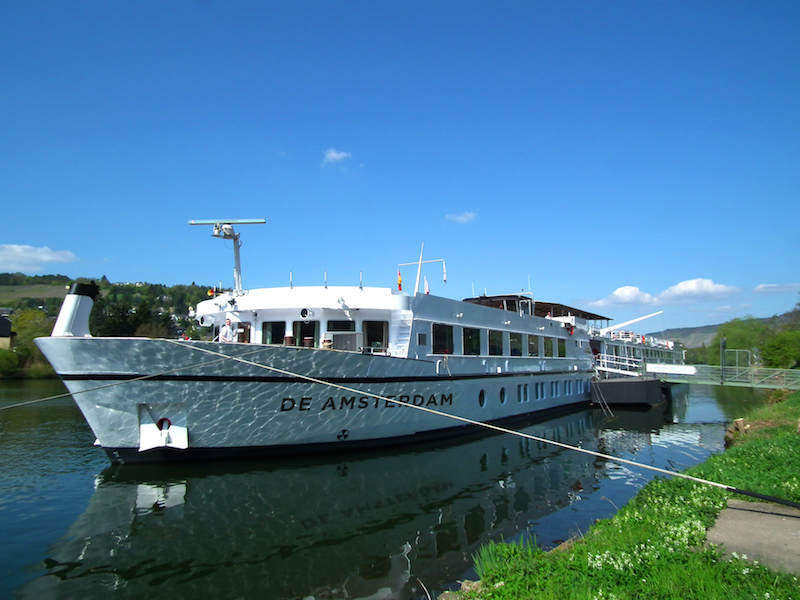 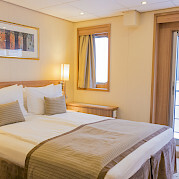 The De Amsterdam, formerly the Lale Andersen, was built in 1991 but recently refurbished in 2017 and boasts both style and comfort. 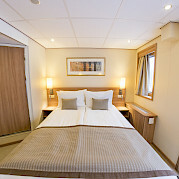 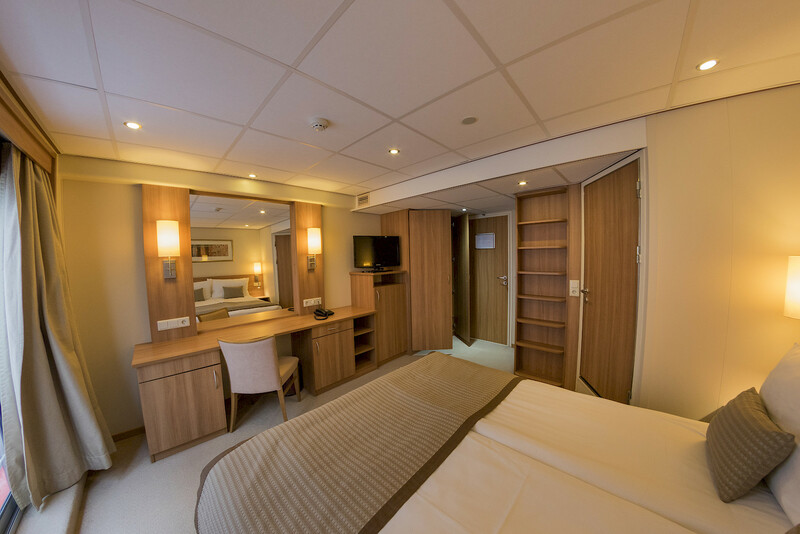 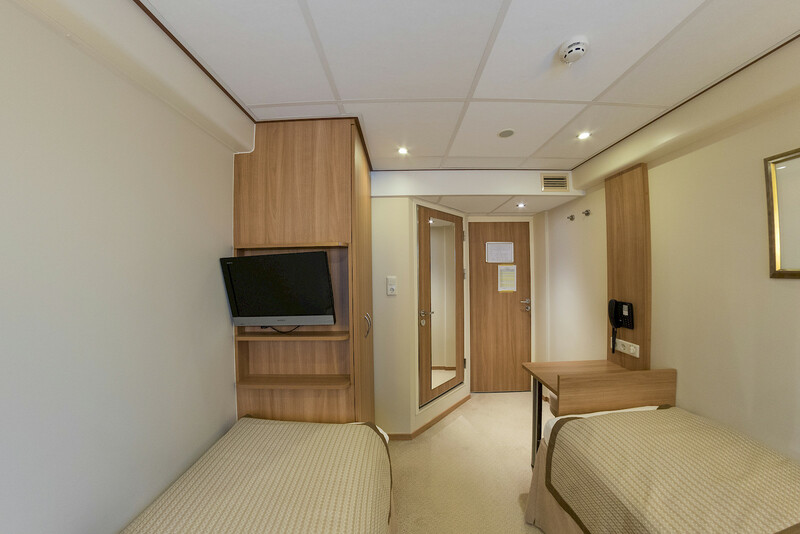 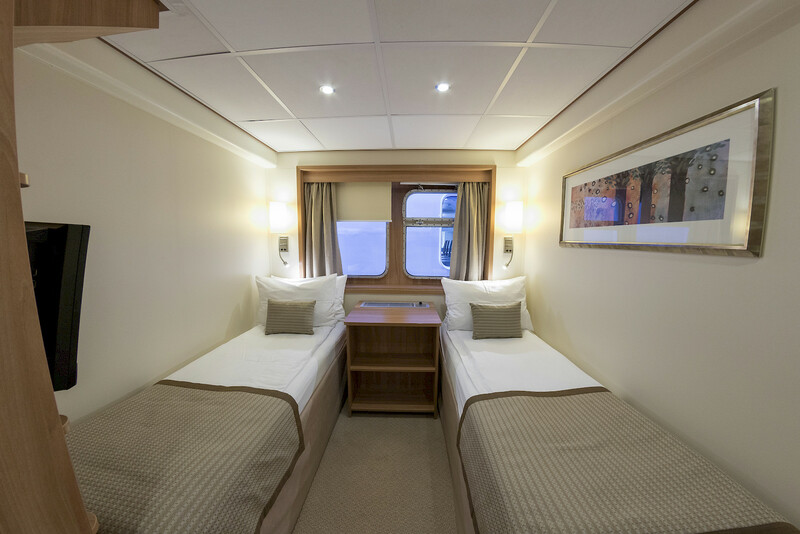 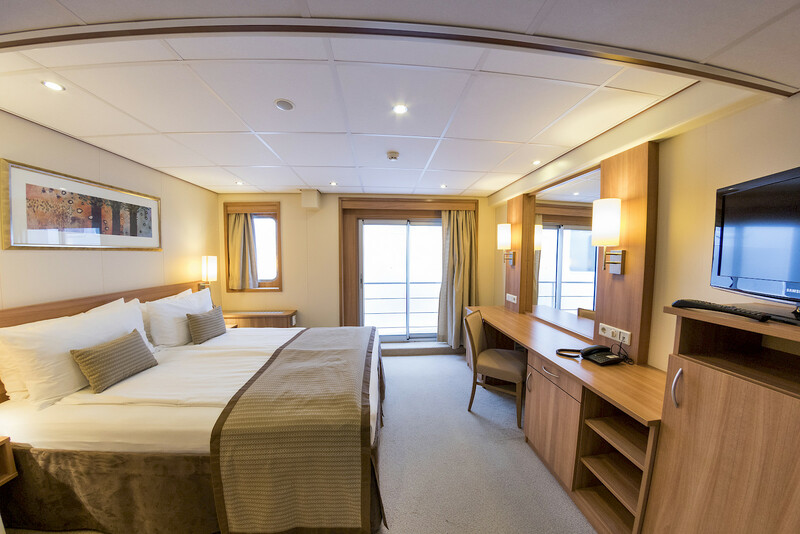 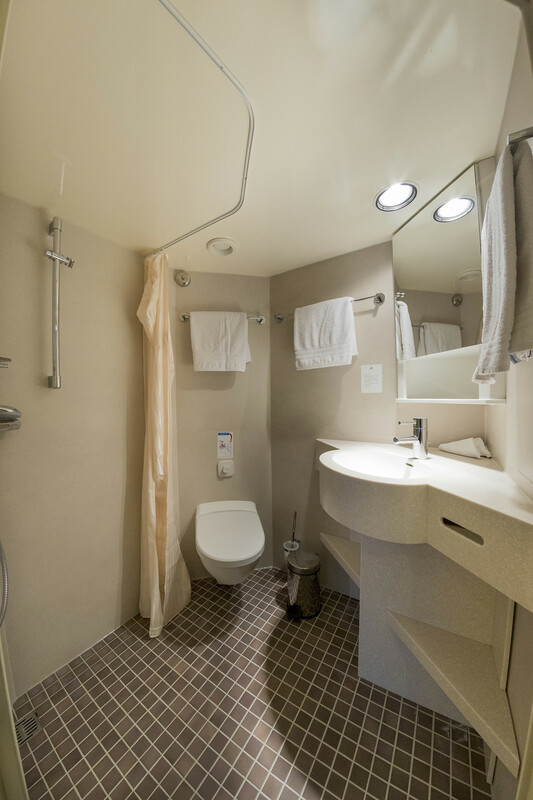 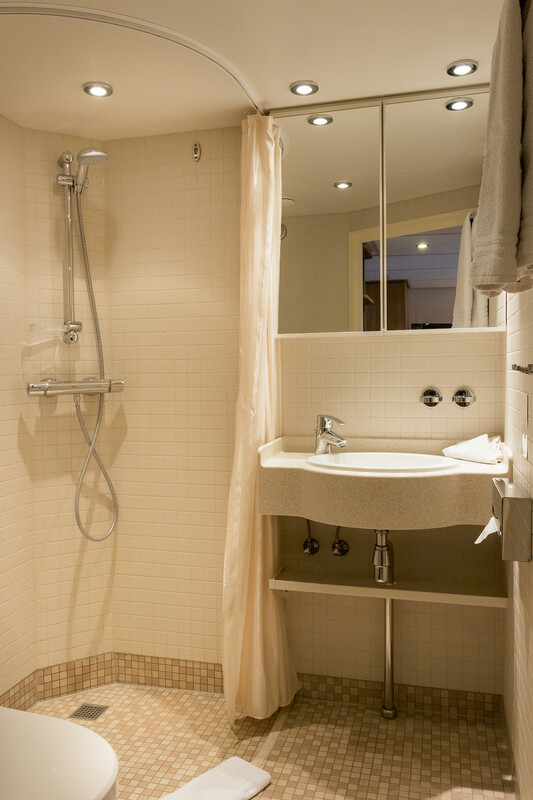 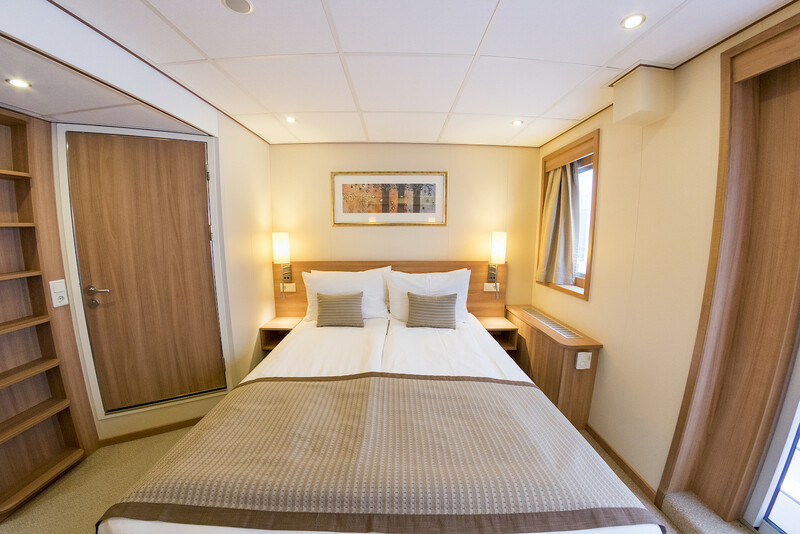 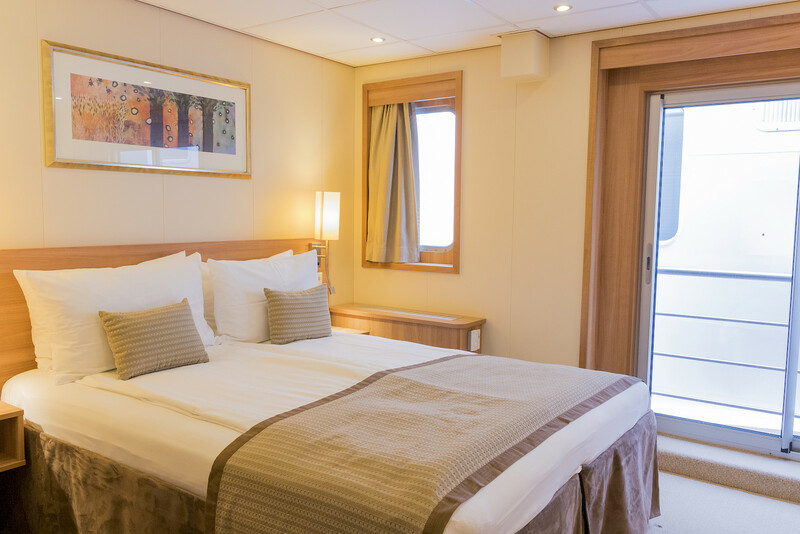 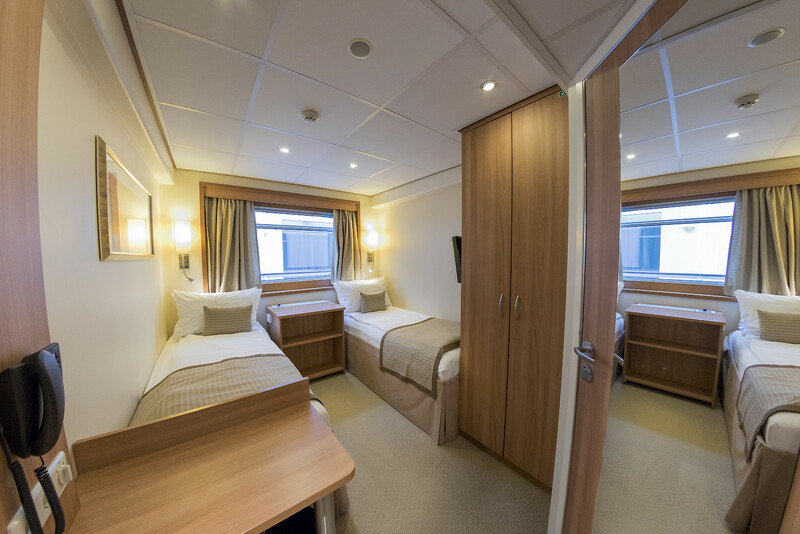 All 56 cabins on board are comfortably furnished and equipped with en-suite shower facilities with hair dryers and bath products provided. 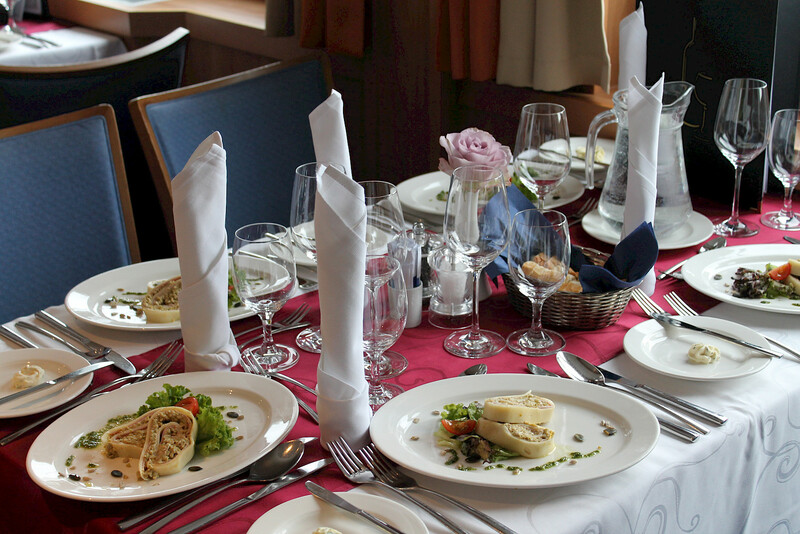 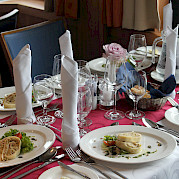 The restaurant is located on the lower deck. 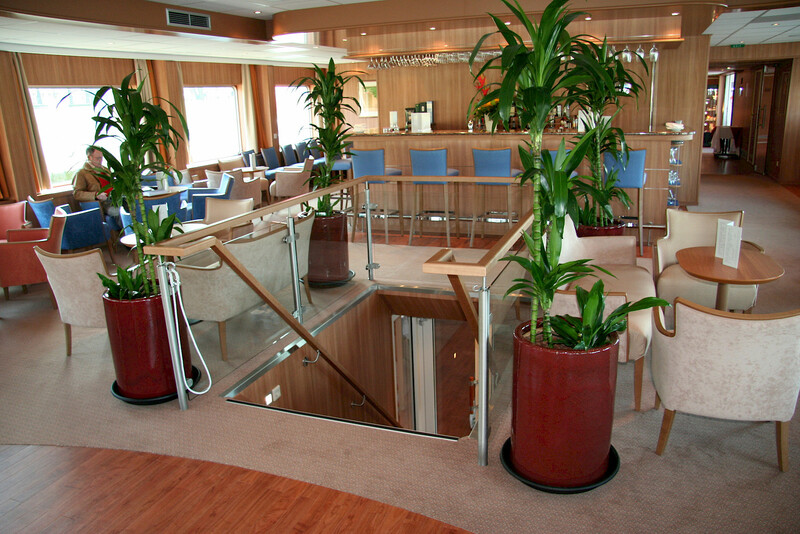 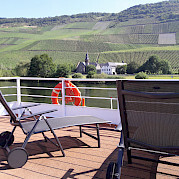 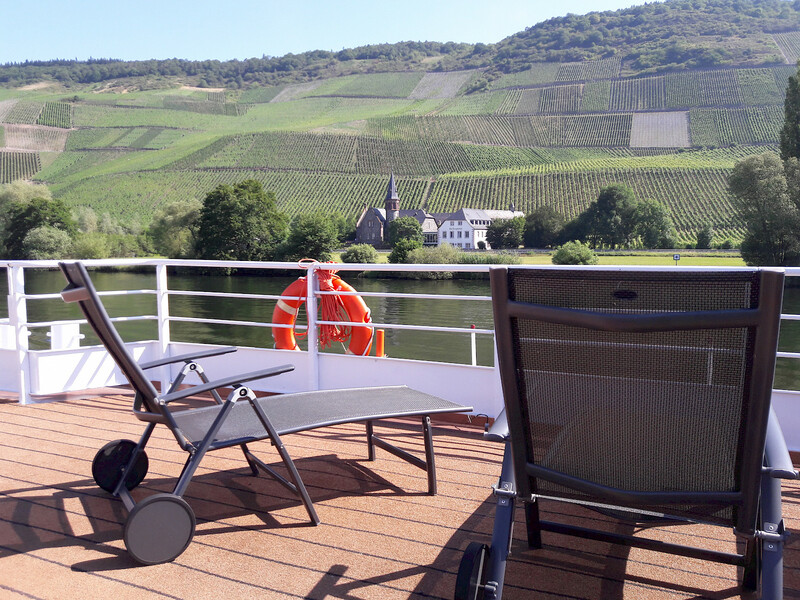 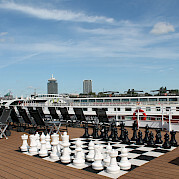 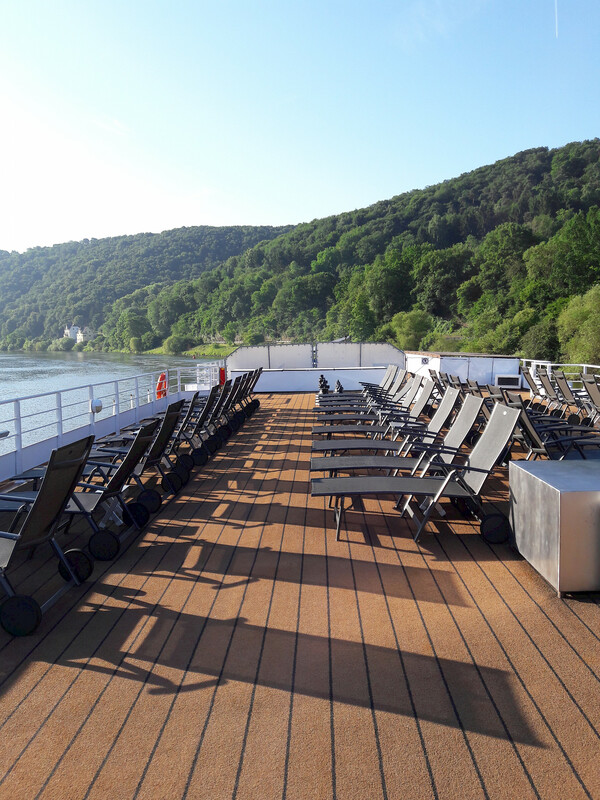 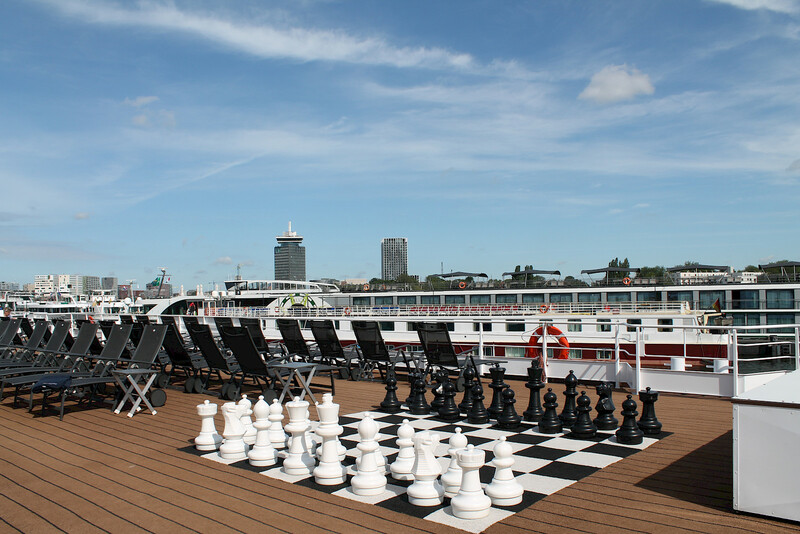 On the upper deck, you will find a cozy lounge/bar with dance floor and large panoramic windows. 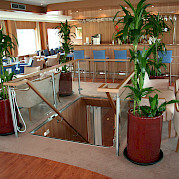 In the lounge, WiFi is available for all guests. 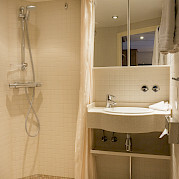 The complimentary package provides limited data but you can purchase additional data on request. 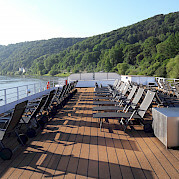 On the partially covered sundeck, there are chairs and loungers that invite you to linger and relax. 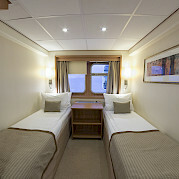 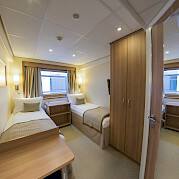 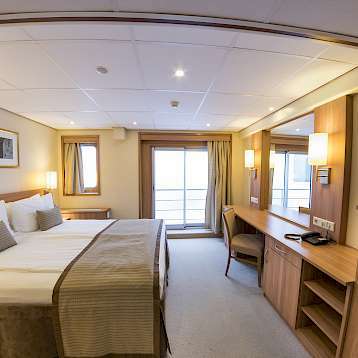 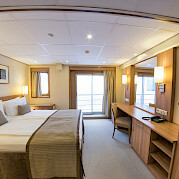 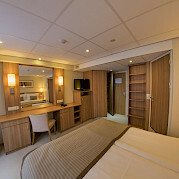 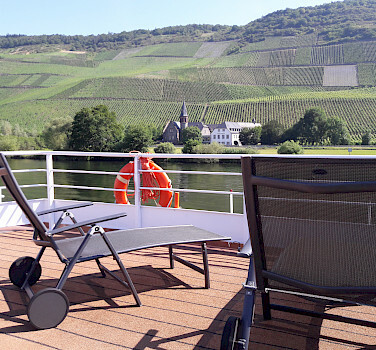 The difference between the regular twin cabins and superior twin cabins on lower deck is their location in relation to the engine room, stairs, and salon. 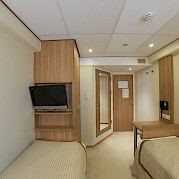 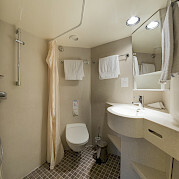 The less expensive cabins are located more toward the back of the boat, closer to the engine.